When a weary Egeon laments in the first scene of The Comedy of Errors that in quest of his lost son he has spent five years “Roaming clean through the bounds of Asia,” Shakespeare is characteristically using the word only in its classical sense, to indicate the Roman province of Asia Minor, a territory roughly equivalent to that of modern Turkey. Shakespeare’s sense of the geography of the rather larger area we now call Asia, like that of many fellow Elizabethans, is more vague. Although he had apparently seen Emmineux Molineux’s world map of 1599 “with the augmentation of the Indies” (Twelfth Night, 3.2.75), and although Falstaff hopes to make Mistresses Page and Ford his “East and West Indies” (The Merry Wives of Windsor, 1.3.64), Shakespeare (unlike his colleague Fletcher) never set a play in Indonesia, and he makes no reference to either Japan or China, getting only as near as the legendary neighbouring realm of Cathay (and then only when Sir Toby Belch and Pistol each use the slang term “Cathayan” as an insult in the same two plays). In that Shakespeare’s works - taught, translated, adapted and performed - have long since roamed clean through the bounds of modern Asia, however, this deficiency in the Shakespeare canon has been thoroughly rectified, and even within the British performance tradition his works have been widely inflected by Asian techniques, conventions, and perspectives. The one part of Asia which Shakespeare did mention with more insistence – India, where Titania and her pregnant mortal votaress gossiped together “in the spicèd Indian air, by night” before the birth of the little changeling boy who, though he remains offstage, motivates so much of A Midsummer Night’s Dream - has appropriately been the one with the longest and richest history of engagement with the Shakespeare canon, admittedly because it once endured the longest and most fraught history of engagement with British colonialism. Although the incorporation of examinations about Shakespeare into the process of recruiting Indians into the running of the colonial civil service in the nineteenth century was intended to foster cultural deference, Shakespeare’s works soon escaped this framework, becoming the basis for popular hybridized dramas in Indian languages - Bhanumati Chittavilasa, for instance, a Bengali Merchant of Venice (1852). During the twentieth century, especially after independence, the emergent Bollywood cinema industry took up Shakespeare (the supplanting by film of an older colonial tradition of touring the plays in English is simultaneously lamented and enacted by the first Merchant-Ivory film, Shakespeare Wallah, 1965), and recent years have seen high-profile Indian Shakespeare films achieve worldwide acclaim. Vishal Bhardwaj’s Shakespearean trilogy provides only the most conspicuous example: Maqbool (based on Macbeth, 2003), Omkara (Othello, 2006), and Haider (Hamlet, 2014). The growing presence of Indian diaspora personnel in the arts in Britain has over the same decade produced significant Indian-inspired and Indian-inflected work in the mainstream Shakespearean theatre, including Tim Supple’s Dash Arts/RSC A Midsummer Night’s Dream (2006), and Iqbal Khan’s 2012 RSC Much Ado About Nothing, with Meera Syal and Paul Bhattacharjee, set in a version of Messina based on present-day Delhi. Those territories Shakespeare omitted to mention, however, Japan and China, have been equally remarkable in their continuing dialogue with Shakespeare’s plays. Opened to Western influence only in the 1850s, Japan soon learned to assimilate Shakespearean drama to native theatre forms dating from roughly Shakespeare’s period: by 1885 there was a Kabuki version of The Merchant of Venice, called Sakura-doki Zeni no Yononaka (literally, ‘Cherry Blossom Time and Money Makes The World Go Around’). It was not until the 1960s, however, that actors from the stylized, traditional dramatic forms of kabuki and Noh would appear in Shakespearean productions alongside performers associated with the Western-style realist drama known as ‘shingeki’, but since then Japanese directors of Shakespeare have excelled at hybridizing elements of older Japanese theatre with elements of post-modern popular culture. The most famous remains Yukio Ninagawa, whose acclaimed productions have toured internationally, from Romeo and Juliet (1974) to Cymbeline (his contribution to the World Shakespeare Festival in London in 2012) and beyond. Elements of traditional Japanese theatre, admired by early twentieth-century modernists such as Yeats, have been emulated or at least in effect quoted by a number of Western directors of Shakespeare, including Peter Brook and Ariane Mnouchkine, though their efforts in this direction have sometimes been accused of mere touristic orientalism. China’s engagement with Shakespeare was drastically interrupted by Chairman Mao’s Cultural Revolution in the 1960s and 1970s, but in recent years the interest in translating, adapting, and performing Shakespeare first glimpsed in the early twentieth century has revived. A Shakespeare Society of China was founded in 1984, and since then Shakespeare’s works have been revived by Chinese companies in styles comparable to those favoured by post-modern directors worldwide. The Beijing People’s Arts Theatre, for instance, took a Coriolanus on international tour in 2013 which, directed by Lin Zhaohua, featured imperial-period costumes but also two on-stage heavy metal bands. The growing international influence of the People’s Republic, meanwhile, is being felt even in Stratford-upon-Avon, where the Royal Shakespeare Company has not only embarked on a project to commission and oversee a new actor-friendly translation of the Complete Plays into Mandarin and to bring productions to Beijing and Shanghai, but has undertaken to perform its own English-language versions of classic Chinese plays. Shakespeare may have said comparatively little about Asia, but with major theatre and film industries now flourishing in Korea, Singapore, Thailand, and Malaysia — as well as India, Japan, and China — Asia has more and more to say about Shakespeare. Michael Dobson is Professor of Shakespeare Studies and Director of the Shakespeare Institute, at the University of Birmingham, in the UK. 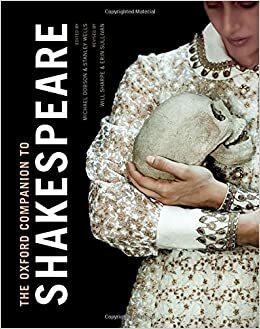 He is an executive trustee of the Shakespeare Birthplace Trust, and an honorary governor of the Royal Shakespeare Company: He is the co-editor of The Oxford Companion to Shakespeare. Re-posted from the Oxford University Press blog by kind permission of Oxford University Press, and Michael Dobson. For more on Shakespeare across the globe, see the OUP site, Illuminating Shakespeare.